As we like mandalas so much, today we have made another DIY to continue practicing. 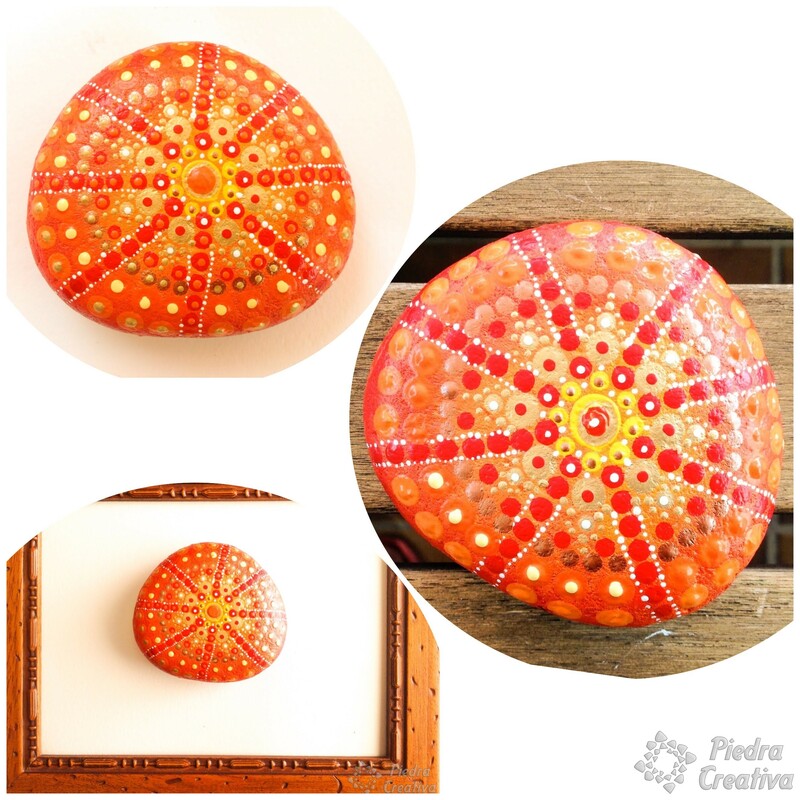 This is inspired by the summer, with yellow, orange and red colors to express this season full of light, warmth and joy. 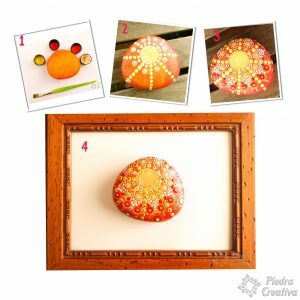 To do this mandala in summer stone, you will need these materials. Once you have prepared your materials, remember to protect the surface where you are going to make this DIY before you start, putting some paper or plastic on that surface. Prepare a container with water and paper napkins for your paint brushes and utensils. Now, you can start! 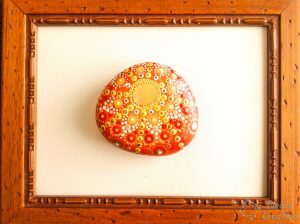 How to paint this cheerful mandala? It is recommended to clean the stone before painting. Wash the stone very well and let it dry before painting. 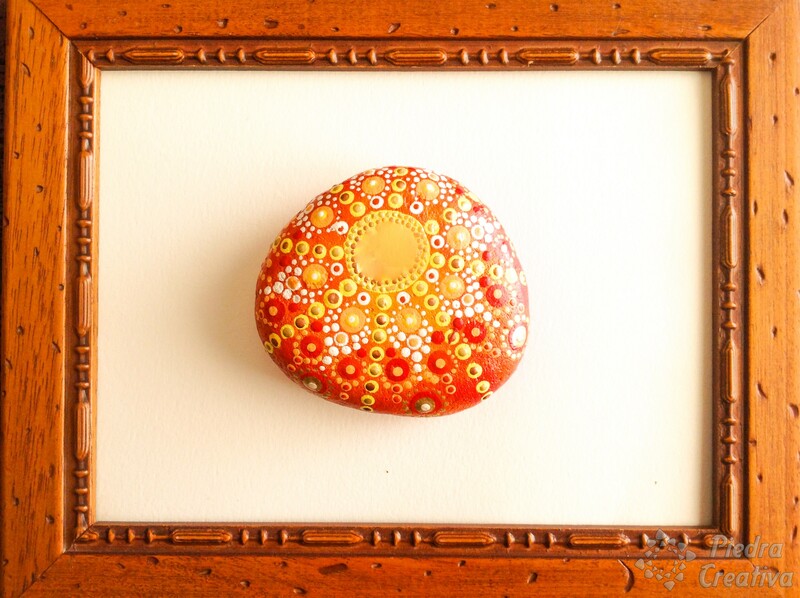 If the stone is dark, start painting it with white paint, especially in the center. Continue painting with the lighter paint in the center, use yellow mixed with white (to clarify). No te preocupes demasiado en perfeccionar la primera capa de pintura ya que después volverás a pintar encima. Una vez se haya secado la primera capa de pintura, vuelve a hacer lo mismo con la segunda mano, pero esta vez será el resultado final del fondo de tu mandala del verano. Experimenta y deja que el pincel te guíe, verás que bonito queda. When the bottom of your summer mandala has dried, begin by blending yellow with white until you get a lighter shade. Paint a circle in the center or in the place of your choice. Then, with the same tone, paint more points with a smaller stick or punch. 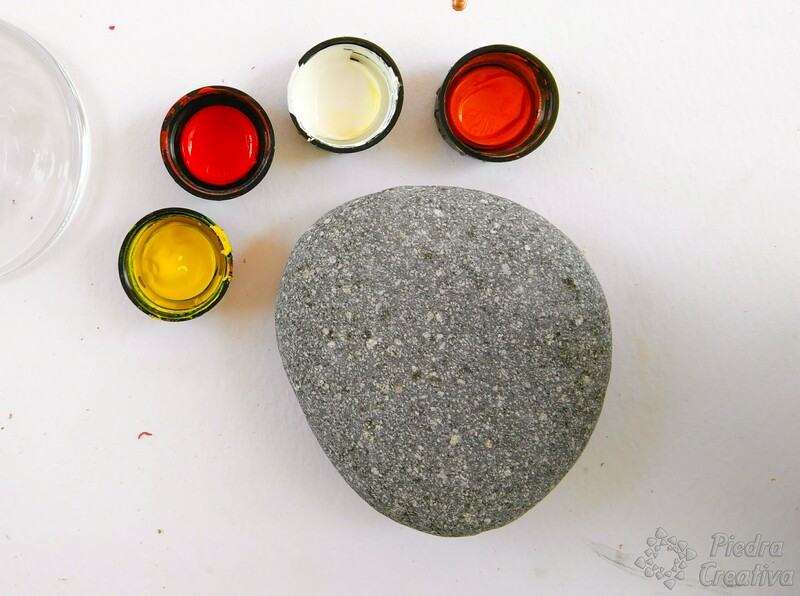 Remember to protect with varnish your painted stone crafts and apply a couple of layers. Ok! Here is the new mandala for the collection! Apart we show you a second variant of this summer mandala that we made on the other side of the Stone. Did you like these DIY? 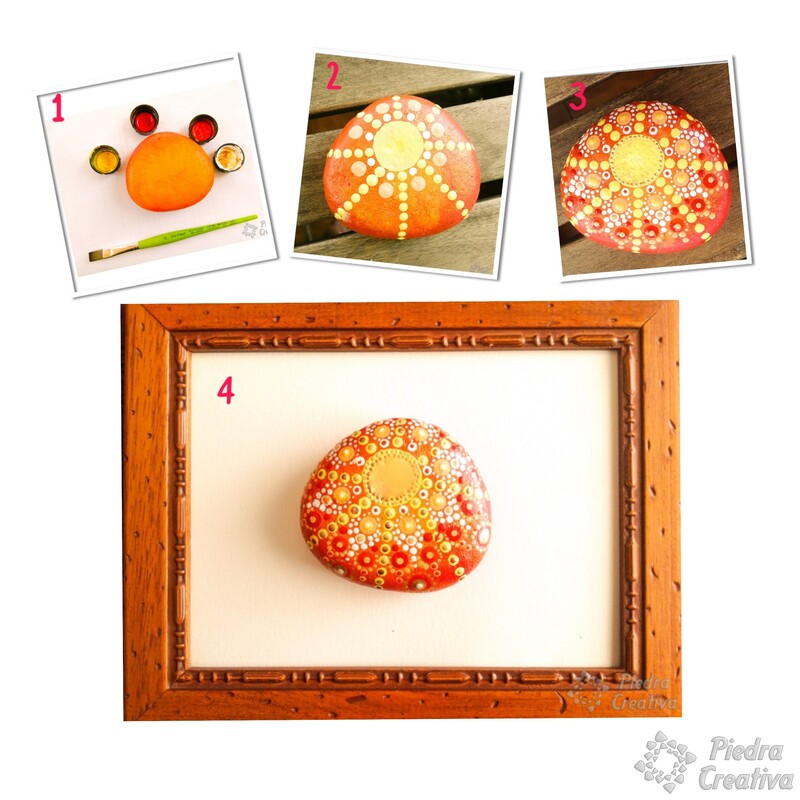 You can find more ideas in the section Mandalas (with examples such as heart or flower) and in the link of the great blog Woojr in which you can also find another way to make summer mandalas ideal for coloring with children. We hope you liked it, you know Share is to live! And if you liked it … share it with your loved ones. A big kiss ♥♥♥. For any doubt, suggestion or question, you can do it from comments. Thank you very much!